End of Bolt Sale and Newsletter Supplement! We've stepped into the blogosphere and we are mighty excited to be here! Our intentions for our shiny new blog are to keep you all updated on shop happenings, new products, classes, and shop sales. 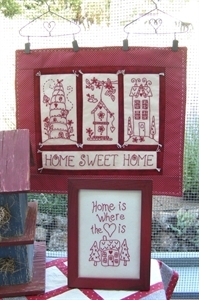 We might even throw in a quilter’s tip or two along the way. One thing we will guarantee is that our blog will be chuck full of fun! As I am sure you have heard, we have started to carry wool. We have wool yardage, wool charms, wool fat quarters and even boxes of pre-cut wool pennies! There’s been a huge wool explosion here at Country Quilts and Bears and we can’t wait for you all to come see it. We are carrying wool and wool patterns galore from the Wool Lady, Wool Works and Primitive Gatherings, just to name a few. 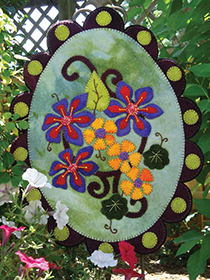 In addition to the wool, we have added embroidery patterns, perle cotton and embroidery floss. We have a wonderful collection of colors to fit nearly all of your handwork needs. 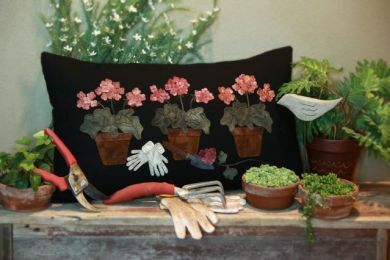 Some of the needlework pattern makers that we now carry are Bird Brain Designs, This and That, and Oh My Blooming Threads. Keep your eye on our blog. We will be adding class updates, new product announcements and shop tidbits weekly. Add us to your Google Reader, Blogger Reading List or just bookmark our page and check back often. We may even offer a "give away" or two... see you soon!